Push Peppa down the slide, up and down on the see-saw or on the Swing! 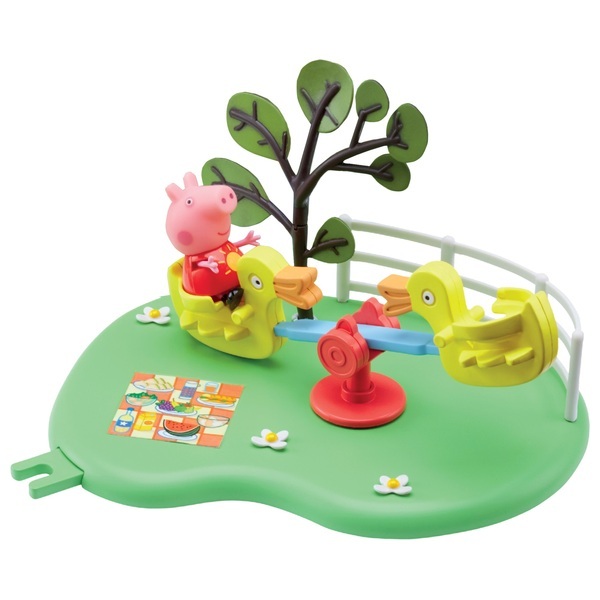 Have fun with these cute Peppa Pig Outdoor Fun Playsets. There's a slide, swing or see-saw playset. Push Peppa down the slide, up and down on the see-saw or on the swing. Playsets connect together! Each set includes one articulated Peppa figure.